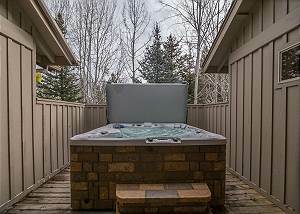 Topflite 24 - 5 Bed 3 Bath w/A/C and Hot Tub, 11 Bikes! 10 Sharc passes 2019! Topfilte 24 is a 5 bedroom 3 bath home with a loft that sleeps 12 with Air Conditioning! There are 11 Bikes included a tag along bike trailer, and a private Hot Tub. Lone Eagle #8: Updated, 3 Masters, Hot Tub, A/C,Airport tie down! 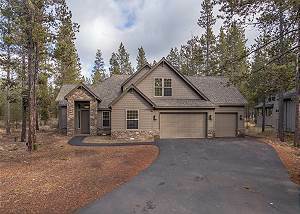 Lone Eagle Landing 8 is situated in one of the best locations in Sunriver. This beautiful home will sleep 10 guests in 5 bedrooms with 3 Master Suites! 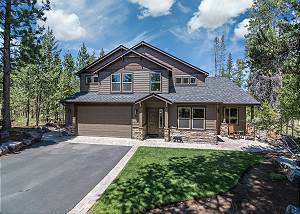 Luxurious reverse living at it's finest, the home is fully equipped for a perfect Sunriver vacation. 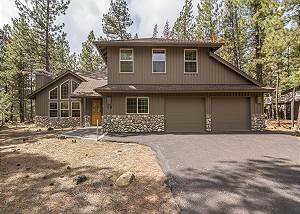 Your exclusive Sunriver Getaway starts with a vacation home that has 5 bedrooms – ALL master suites – near the Woodlands Golf Course. Sarazen Lane #4 is the Perfect Premier Vacation Property that sleeps 12! 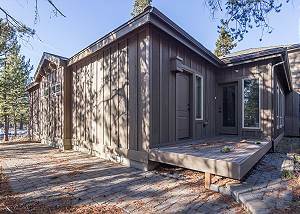 A true luxurious Sunriver escape begins when you arrive in Three Iron Lane #2. 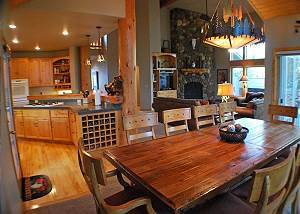 This premiere vacation property exceeds your expectations plus you get 12 Unlimited SHARC passes! Dutchman #11 - Brand NEW Home - A/C and Hot Tub PREMIER HOME with 14 SHARC! Beautiful new home constructed in 2015. 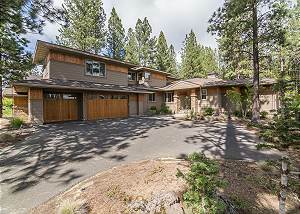 Over 3700 square feet on the North end of Sunriver. 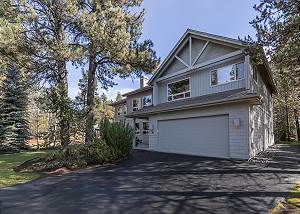 Nearby Tennis Courts, walk to the North Store 6 Bedroom 4.5 baths of premier living! 12 Unlimited SHARC Passes, Close to Village Mall, Pool Table, 4 Masters! White Elm #33 is simply the best! 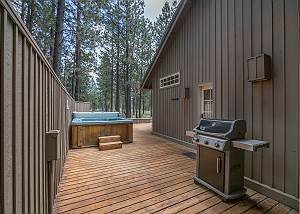 Your luxurious Sunriver getaway begins when you stay in a magnificent, vacation perfect home with 5 master bedrooms and your very own indoor pool and hot tub.